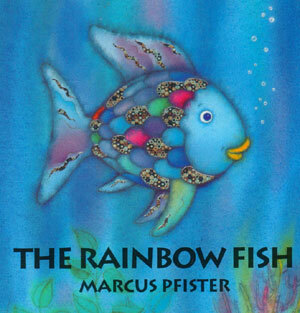 Do you guys remember The Rainbow Fish book from elementary school? That was seriously the most desired book in the entire world. I was on a waiting list for 4 months before I got to check it out from the library! That's an eternity in 2nd grade time! 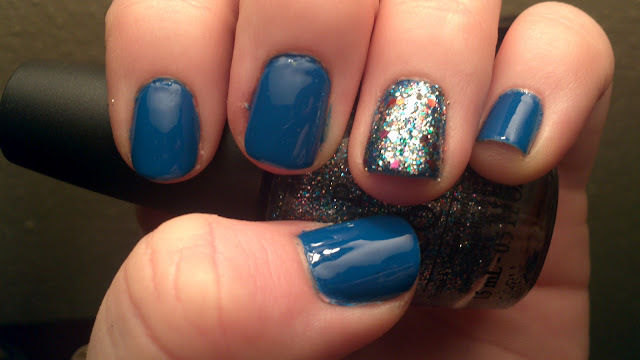 My nails today were slightly inspired by this book! They were also really easy to (which is a plus). 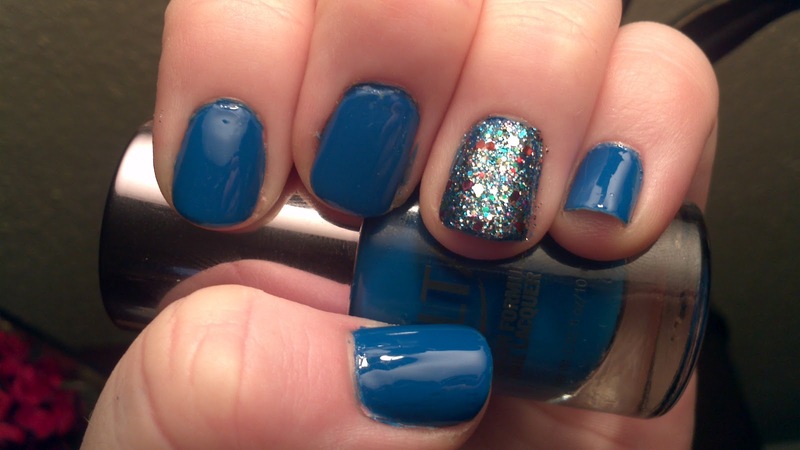 I used two layers of Ulta Blue Streak then a couple layers of top coat. 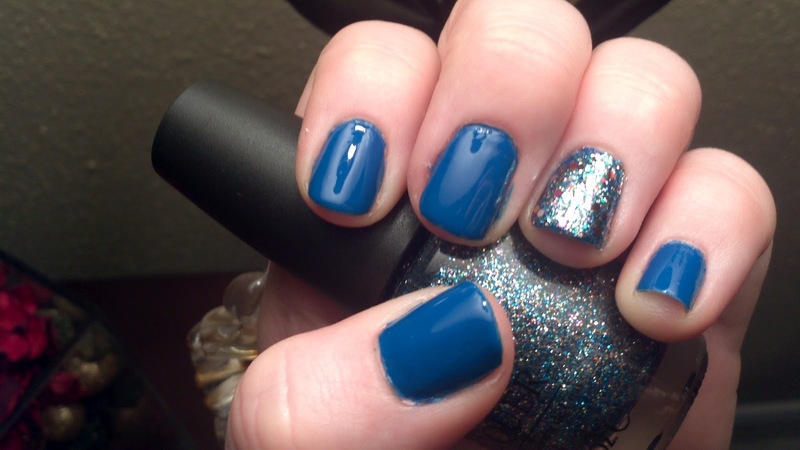 For the accent nails, I added a layer of OPI Midnight Blue glitter and a layer of OPI Pinata-Yada over the top. Looks pretty scaly to me!